Private, for-profit, high quality healthcare has been permeating Tier-II and Tier-III towns in the last decade or so, just as it did in the metros in the decade before that. The advent of corporate hospital chains across cities really began with Apollo Hospitals in Chennai in the early 1980s. Having first set up branches in the metros of South India, Apollo Hospitals ventured north, reaching Delhi in 1996, with its model soon followed by a host of others - Max Healthcare, Fortis Healthcare, Medanta - The Medicity, and more. Now the same trend is seen in towns as modest as Tinsukhia, Hubli or Darbhanga. Less flashy than their metro counterparts and less expensive as well, these hospitals have not only brought medical super specialties to the Indian heartland, but also attracted private equity (PE) investment. Take Paras Hospital, which was set up in Gurgaon, in 2006, by Dr Dharmendar Nagar, one of six brothers who also run Paras Dairy. In 2013, it opened a 350-bed hospital in Patna with a local partner and has since started a third hospital in Darbhanga, 145 km from Patna, a Tier-III town with a population of just over 300,000. With neurology, cardiology, oncology and orthopaedics as their main super specialties, the Paras hospitals have drawn investment of `275 crore from PE firm Creador Advisors. Perhaps the pioneer among such hospitals was Regency Hospital in Kanpur, set up by local resident Dr Atul Kapoor, in 1996. Over the next 10 years, Regency set up four more hospitals in Kanpur, reaching a total of 725 beds, and specialising in nephrology and oncology. 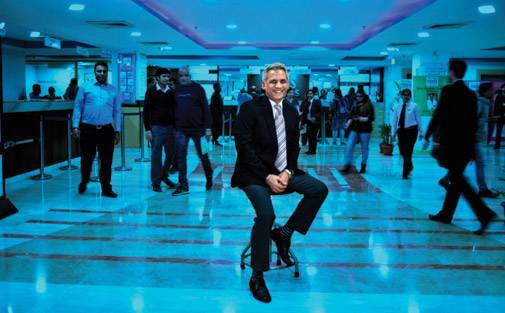 Though the first years were difficult, taking Dr Kapoor 13 years to pay off the debts he incurred, Regency has now attracted investment of around `100 crore from a consortium of investors and is set to expand across the Hindi belt. It will open its first facility outside Kanpur - Lucknow in May-June 2018 and Varanasi by 2019. It is also eyeing locations in three neigbouring states - Uttarakhand, Madhya Pradesh and Chhattisgarh. Other similar hospitals in North India include Jaypee Hospital in Noida, set up by infrastructure and real estate giant Jaypee Group in 2014, which has since set up a second hospital at Chitta in Bulandshahr district of UP, in 2016. It also runs a super-specialty hospital at Palampur in Himachal Pradesh, in partnership with a local trust and is setting up yet another in Anoopshahr, once again in Bulandshahr district. Nayati Healthcare, promoted by former public relations professional Niira Radia, has set up multispecialty facilities inMathura in 2016 and in Agra this year, while a third is planned for Amritsar. The Mathura hospital is an example of providing specialised healthcare of a quality many private metro hospitals cannot match. 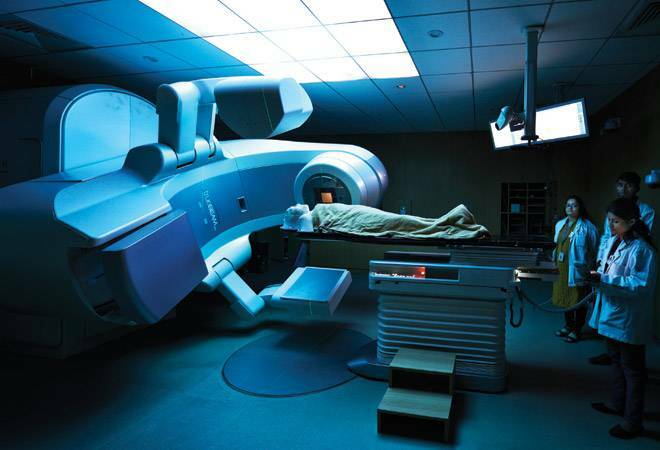 The Nayati Centre for Oncology has installed the latest Elektra Radiation Therapy System, which substantially reduces the time taken for radiation treatment and thereby minimises the damage to surrounding tissue. "Healthcare distribution is skewed in India with most of the quality infrastructure, technology and expertise concentrated in the metros," says Dr R.K. Mani, CEO (Medical), Nayati Healthcare and Research. "We want to take the best of healthcare to Tier-II and Tier-III cities." In eastern India, the foremost example of such hospitals is the Glocal Group, whose nine branches - with two more in the making - stretch from Bolpur, Dubrajpur and Krishnanagar in West Bengal, through Berhampur and Jeypore in Odisha, Bhagalpur and Muzzafarpur in Bihar to Amroha in UP. Set up by former IAS officer, Dr Syed Sabahat Azim, the chain began in West Bengal in 2011, and hopes to spread across the country. It has received support from venture capital funds like Sequoia Capital and Elevar Equity. "We want to be present in all 6,000 blocks of the country," says Ashutosh Srivastava, Chief Operating Officer, Glocal. Glocal's hospitals do not offer super specialties, but only in order to keep charges economical. "Around 90 per cent of our patients need interventions at the secondary level, which we provide," says Srivastava. "All our hospitals, for instance, can instal pacemakers and have facilities to carry out dialysis. The few who need super-specialty surgeries are referred to bigger hospitals." There is also the Medica Group, set up by Dr Alok Roy in 2010, which started with a super-specialty hospital at Siliguri in North Bengal. Medica has one metro hospital - a 400-bed in Kolkata, has also set up a chain across Ranchi, Dhanbad and Jamshedpur in Jharkhand, Kalinganagar in Odisha, Patna in Bihar and Tinsukhia in Assam. In South India, chains like Apollo, Manipal and Narayana Hrudyalaya have also penetrated Tier-II cities, but even so lesser-known ones are making an impact. Leading them is Vaatsalya Healthcare, founded by Dr Veerendra Hiremath and Dr Ashwin Naik in 2004, with six hospitals and 800 beds in Karnataka - in Gadag, Hassan, Shimoga, Mysore, Chikmagalur and Narasannapeta. Lifespring, focused mainly on obstetrics and mother and child care, is primarily concentrated in Hyderabad, where it has 10 branches. It has also ventured into Visakhapatnam, and intends to move further afield. Simultaneously, in the past decade, the high-profile hospital brands have moved beyond the smaller cities of South India. Apollo has branches not only in well known Tier-II cities like Bhubaneswar, Guwahati and Indore, but also in Bacheli and Bilaspur (Chhattisgarh), as well as Nashik and Lavasa (Maharashtra). Fortis has moved into Jaipur, Amritsar, Ludhiana and Raipur; Medanta has branches in Indore and Ranchi, with plans to open in Lucknow and Patna; while Max Healthcare is present in Bathinda and Dehradun. "Our Lucknow hospital will be on par with the All India Institute of Medical Sciences," says Dr Naresh Trehan, Chairman and Managing Director, Medanta. Setting up a good, private hospital in a smaller city is not easy. Finance is hard to come by, acquiring land and the necessary permits are a nightmare, while the latest drugs and essential equipment are often scarce. The number of patients who can afford the hospital charges - even though these are several notches lower than those of their metro counterparts - is also relatively small. Thus while most private hospitals in metros operate more than 500 beds, most of the Tier-II and Tier-III ones have no more than 200 at each unit. Again, there is a difference between Tier-II and Tier-III - Paras Hospital, for instance, has 350 beds at its Patna branch, while at Darbhanga it has only 100. Even the big brands prefer to keep their hospitals in the smaller cities compact - thus Medanta has 150 beds at its Indore unit and 200 at Ranchi. The cost per bed of setting up a private hospital in a metro is around `1.30 crore, while it is about `70-80 lakh in a smaller city. Running cost per bed is roughly the same, as trained clinical staff expects the same salaries, no matter the location. The flow of patients is thinner in smaller cities than in metros, which are also helped by patients from overseas coming in and paying in dollars. "Even though hospitals in Tier-II and III cities are smaller than those in metros, the latter are able to break even sooner," says Dr Roy of Medica. In any case, the break-even point does not arrive earlier than 10 years for either. Earlier, major hospital chains venturing into the hinterland often used the hub-and-spoke model, of having a single central hospital with super specialties, while the remaining tackled the less complex cases and referred the serious cases to the main unit. But increasingly the outreach hospitals are also being better-equipped, as it has been found that patients do not like to travel for healthcare. 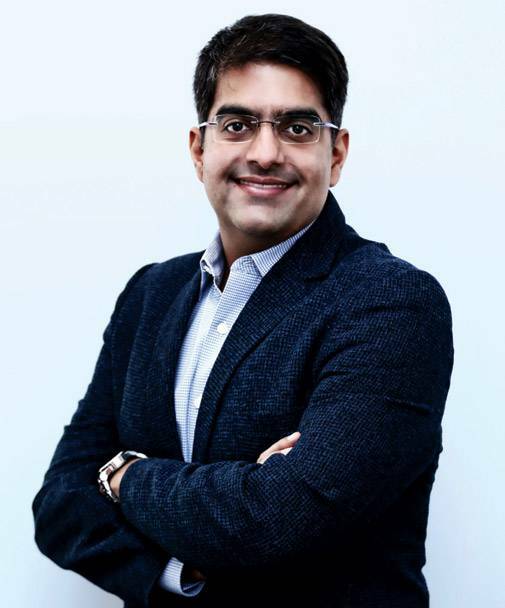 "The difference between hospitals of the same chain is fading," says Abhishek Kapoor, Senior Vice President (Strategy), Regency Healthcare. "Soon, even Tier-III cities will have good hospitals as demand rises there." Dr Mani of Nayati Hospitals agrees. "People already traumatised by disease should not have to travel," he says. "Access to good healthcare is a basic right." Another major impediment to offering quality medical care is the difficulty in drawing and retaining medical talent. The quality smaller city hospitals have no choice but to dangle carrots aplenty. Nayati, for instance, has 160 doctors and clinicians in Agra, who live in the gated community and visit their families, if they have to, on the weekend. "We offer salaries comparable to those of doctors in metros, along with a challenging work space and state-of-the-art technology," says Mani. Regency, too, provides its doctors housing. "They get houses within 10 minutes walking distance from the hospital," says Kapoor. "Their spouses are offered jobs, and schooling for their children is facilitated." Again, a vital reason for Paras choosing to open its hospital in Darbhanga was the medical college in the town, which provides it a steady stream of young doctors, as well as acts as a bait for doctors who studied at the college and moved elsewhere, to return. "Darbhanga has one of the oldest medical colleges in the country," says Dr Shankar Narang, CEO, Paras Hospitals. At comparable salaries, smaller cities also have advantages over metros which these hospitals frequently stress - cheaper cost of living, for instance, larger homes at lower rents, less pollution and more open spaces. Despite these attractions, the turnover in these hospitals is relatively high, and that can be an incentive for younger doctors. "Opportunities to rise are higher for young doctors in the smaller cities," says Dr Narang. "In the metros, they have to wait longer as they often work under established star doctors who are identified with the hospital in question." But there is no question of lowering standards to fill vacant positions. "The expectations of patients in smaller cities are the same as those in metros, so doctors are all chosen through a rigorous selection process," adds Narang. "We do not compromise on quality." Having high quality doctors, who send patients back cured, is obviously the most important criterion for a hospital's success, no matter where it is located. "The doctors and nursing staff are the most important factors," says Sunil Thakur, CEO, Quadria, an investment fund focused on health-related businesses. "Infrastructure and equipment can be put up anywhere." But beyond this, there are also subtle nuances in functioning style that can make a difference. "Our first language is Hindi, we belong to this region, we understand its people and know how to deal with their idiosyncrasies," says Kapoor of Regency. Neither he nor any of the others running such hospitals is fazed by the prospect of competition from the big brands. Healthcare of the quality corporate hospitals offer was unknown in the smaller cities and towns till they arrived, and there is great hunger for it. "There is place in every state for national, regional and local players," says Dr Kapoor. Dr Narang of Paras Hospitals feels the same. "The demand-supply gap is too large at present for there to be any competition," he says. It is also important to cultivate doctors, not only in the city where the hospital is located but also surrounding areas, so that patients get referred to the hospital. Paras Hospitals has a marketing team which does just that, inviting doctors to visit their facilities as well as conducting medical awareness programmes. "We are optimistic about regional corporate hospital chains," says Thakur of Quadria. Importantly, as these hospitals grow, the city's economy grows with it, as they bring new guesthouses for patients, more taxi services, more food suppliers for patients' attendants, and further business activity.